This is the set-up for a troubling, smart, deadly look at women and images of women, at media as a high-stakes game and the selling of a war as theatre. Brundage’s Los Angeles is a casual battleground that trades carelessly in lives and dreams. As always, her characters are complicated, surprising, and intense in this high velocity, provocative novel. 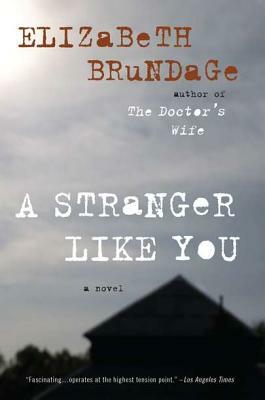 ELIZABETH BRUNDAGE is a graduate of the Iowa Writers’ Workshop, where she earned an MFA in fiction and a James Michener award. Her short fiction has been published in the Greensboro Review, Witness Magazine, and New Letters, and she contributed to the anthology Thicker Than Blood: I’ve Always Meant to Tell You, Letters to Our Mothers. Her most recent novel is All Things Cease to Appear.